Firefighters are the people who respond to house fires and other emergencies to help stop the spread of fires and evacuate individuals when necessary. They also treat sick and injured people, prepare reports, provide safety education to students and community members, and work in teams to make sure communities are always safe. If you’ve ever thought about becoming a firefighter, you may want to know a little bit about how much firefighters can expect to make over the course of their career. 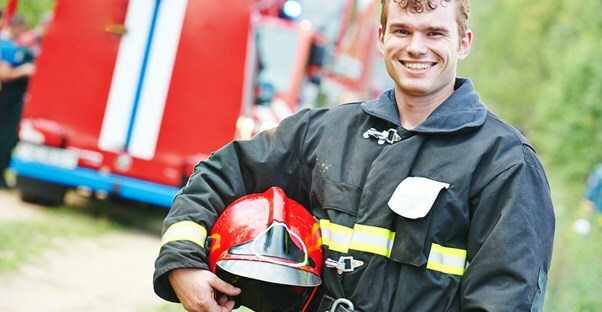 Luckily, we’ve got the firefighter salary information for you. The average annual wage for all firefighters is $48,270 per year or $23.21 per hour. The middle 50% make a little less than the average salary. The median salary for all firefighters is $45,600, which means that 50% of all firefighters make less than $45,600 and 50% make over $45,600. While you won’t become rich with just $45,600 a year, you can indeed make enough to have a normal, happy lifestyle. The top 10% of all firefighters make around $80,430. Those in the top 10% usually have at least 15-20 years of experience and may also work in units with the highest paying salaries in the first place. The bottom 10% of all firefighters make around $21,960, which equates to about $10.91 per hour. This number is representative of inexperienced firefighters working in very small units with a small area of jurisdiction. If you want to make a higher salary than the bottom 10%, look for a job in a big city. Most firefighters work for different state and local governments, and each government locality has a different pay scale setup for their employees. This means that the amount you get paid is heavily determined by where you work. If you work in a large city or metropolitan area, for example, you are likely to be paid more than a firefighter working in a rural area. The states with the highest levels of employment for firefighters are California, Texas, Florida, Ohio, and Illinois. The states that pay firefighters the most are New Jersey, New York, California, Washington, and Oregon. The job outlook for firefighters is generally good, but not great. Over the next 10 years, the number of jobs across all occupations is expected grow by 11%. For all protective services occupations, the growth will only be around 8%. Jobs for firefighters are only expected to increase by 7%, which is the creation of about 20,300 firefighter jobs by 2022.